The Legal Genealogist isn’t seeing too well this morning. Perhaps there’s a bit of the residue of sleep in my eyes. Perhaps there’s a bleary remnant of the mulled cider my family shared last night. Most likely, it’s just some filmy moisture in front of my eyes. And I for one am so grateful for them. We call them “search angels” in the genetic genealogy community — these folks who give selflessly of their time and energy and knowledge to try to guide adoptees in their searches for their biological families. And they are simply amazing. On Christmas morning, I woke up to a message from a reader who wasn’t quite sure what it meant when a comparison of DNA results on the third party site Gedmatch reported that the reader was a particular number of generations away from a match. We exchanged a bit more information, and it turned out that the reader was a 71-year-old adoptee who had information about the now-deceased biological mother but not the biological father. The match was 81 years old. Neither of them knew quite what to do with the information they had. I explained what I could about the likely relationship (based on the amount of shared DNA and the like) and suggested what I always suggest to adoptees: (1) get familiar with the website DNAAdoption.com, which offers guidance and resources to adoptees looking to use DNA as one of their tools; and (2) join the Yahoo discussion group for adoptees at https://groups.yahoo.com/neo/groups/DNAAdoption/info. And I suggested that the reader also read through Michael D. Lacopo’s amazing tour de force on his own search for his biological grandfather at Hoosier Daddy?. Most adoptees won’t face the twists and turns he did, but can sure use the methodologies explained in that search. And, since I don’t do this sort of forensic work, I tried to feel that I’d really done about as much as I could and tried to put this out of my mind. The relationship disclosed by the DNA was so close that it really should be solvable. But when you’re talking about people in their 70s and 80s, time is not on the adoptee’s side. And the words the reader had written kept nagging at me: “As you can see from our ages, almost everyone involved is no longer living. I feel like we have hit a brick wall. … I don’t know where to go from here. Well, I did. I took the reader’s case to this amazing community of search angels. And by last night, they’d solved it. The specifics of the reader’s story are not for me to tell. But the story of the search angels? That’s one that doesn’t get told nearly often enough. Some of them listed on the DNAAdoption.com site will guide an adoptee through the first few steps. Others will work on particularly challenging cases from start to finish. Others help teach adoptees and genetic genealogists about using DNA in adoption cases. Some of them write blogs. Almost all of them will help answer questions on the Yahoo DNA adoption discussion group. And some work entirely behind the scenes and you’ll never see their names out there. There are always more cases needing to be solved than there are search angels available to help solve them. Not every case will be quick or easy to solve, not every case can be jumped to the top of the list. The focus is, and has to be, on teaching more and more adoptees and genealogists alike how to do for themselves what the search angels try to do to help. But thanks to folks like Diane Harman-Hoog, Karin Corbeil, and Patty Drabing, there is one fewer unsolved case out there as of last night. Thanks Judy, for this inspiring article and for pointing to adoption resources. I have an adopted ancestor, and kind of gave up on tracing that line until “later”. Maybe later begins today. Thanks again! There are no adoptions in my family as far as I know. However, as a genealogy librarian in a public library, I have on occasion had people looking for help. I’ll keep the links you provided so I can share them with patrons when they come in. What a great Christmas present you gave these people! I did very little, Kim — the angels deserve all the credit! Just passed your links along to a distant cousin who wrote after matching with my 4th cousin, last year. She was abandoned at 5-years-old by her birth mother and was adopted by a kind foster family. Several of us gave her suggestions and one of her kind 2nd cousins allowed her to view his Ancestry pedigree, which included the family of the birth mother. She now realizes how fortunate she was, after meeting her birth mother a week before the mother died and learning of her hard life. She’s now looking for her father’s family and I’m sure she will find help through the info you kindly provided. Michael Lacopo had me biting my fingernails, more than once. So happy he found this grandfather. Will be interesting to read whether he and his mother met the man. Judy, They are all very good friends of mine. I have known Diane and Patty since they were at the NWASR group. My mother was adopted in 1930 in Bellingham WA and brought to TX by her adopted family. 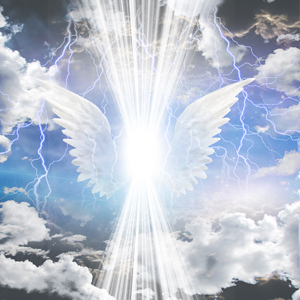 The Angels had the knowledge and resources to help me. We solved the case in 2010 just as autosomal was taking off but only used DNA to confirm family relationships. However, it turns out a passing comment someone made to me as a 15 year old kid (I am now 65) that was the key that opened those resources. Then one of the search angels, Penny, from that same group went to the state agency satellite office and actually retrieved a certified copy of my mother’s OBC. That is a story in itself. I am one of the lucky ones as my mother’s mother and father were both listed along with the location of their birth and birth year. What else could you ask for! They are awesome people and give so selflessly. Patty and I have distant family connections as well as sharing cousinship with Karin and her husband. I owe them all so much! And seeing your name on the list as one helping beginners is sure a great way of paying back, Richard! That is really awesome- So lucky on the OBC’s ! Congrats!! Patti Logsdon Drabing and Dave Guenther were absolutely instrumental in finding my birth parents. Patti also had a woman named Barb helping her helping me. After being stonewalled by my adoptive parents, I finally got a copy of me adoption records and started the search at age 54. I have known since kindergarten that I was adopted. My brother and sister are also adopted but have no interest in finding their birth parents. Sadly, I found out my birth mother died in the Oklahoma City bombing. I did find her friends and her second husband ( not my birth father) who I keep in regular contact with. I can’t thank them enough. Judy – a very similar thing happened to me about 18 months ago. A co-worker, now in her 60s, was adopted as an infant and wondered if I could use my genealogy databases to help her find information on her birth parents. To make a very long story short, as part of the process of the search, I threw out an inquiry on Ancestry.com’s forums. A lurking search angel contacted me, picked up the ball, and ran with it. Within two days – TWO DAYS! – we had not only identified the birth parents, but found out that the birth mother is still living! And that she lives within 3-4 hours of where my co-worker lives. There was a reunion, and they are very happily in touch again, and part of each other’s lives. I may eventually have found her, but the search angel did some amazingly fast work, and we are forever grateful to her. Angels indeed, all of you! Wonderful story — good for you and your search angel!